Maryville is recognized for leadership and vision in creating a mobile learning environment that exemplifies innovation and excellence. Maryville University has been named an Apple Distinguished School for 2018–2021 — marking the second recognition — for leadership and excellence in providing students with a high-tech, mobile learning environment. Maryville’s Digital World program gives students the digital skills and personalized learning they need to succeed in the workforce of the future. Apple Distinguished Schools inspire creativity, ​collaboration and critical thinking through the innovative use of technology in learning and teaching, with documented results of academic accomplishment. 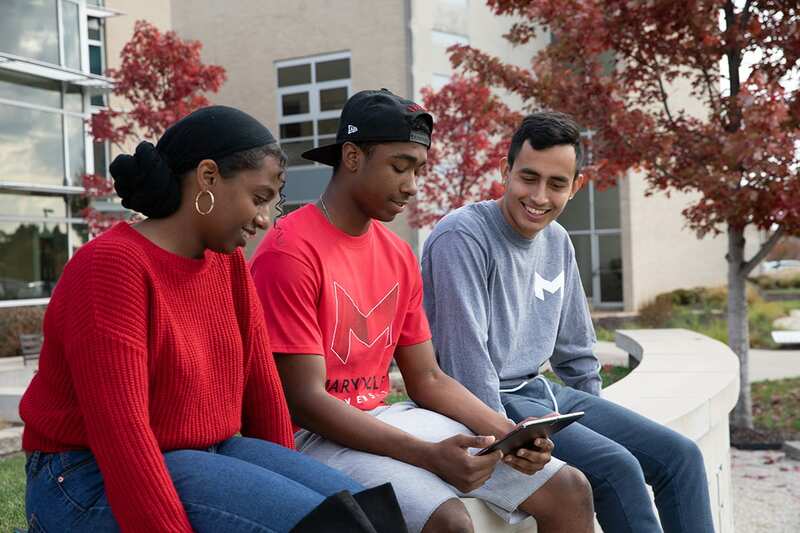 Through Maryville’s Digital World, every traditional undergraduate student receives a free iPad loaded with over 80 learning apps designed to facilitate study in fields from the sciences to math, the humanities and many more. The program creates a faculty-student partnership that puts students at the center of their learning. To enhance this partnership, Maryville has invested significant resources in faculty professional development to expand their understanding of best practices using iPad learning technology. “Maryville educators are tremendously committed to student learning — and technology is a proven invitation and inspiration to be even more powerful and imaginative communicators,” said Cherie Fister, MFA, vice president for academic affairs. Below, President Mark Lombardi, PhD, on receiving the Apple Distinguished School recognition. Founded in 1872, Maryville University is a comprehensive and nationally ranked private institution with an enrollment of 9,200 students. Maryville offers more than 90 programs at the undergraduate, master’s and doctoral levels to students from 50 states and 55 countries. Among recent graduates, 97 percent are employed or attending graduate school. More than 17,000 Maryville alumni work and live in the St. Louis region.